Lee Turner is a highly regarded litigation attorney known throughout the legal community for his outstanding client service, legal acumen and courtroom knowledge. Typifying his experience in handling jury trials, Lee received a $31 million personal injury award — the largest single personal injury judgment in the State of Michigan — for one of his clients. Lee thrives on accepting a challenge, especially those cases that other attorneys shy away from due to their complexity. Lee handles cases in many areas including, but not limited to, all areas of personal injury, many areas of medical malpractice, nursing and doctor negligence, and automobile and motorcycle accidents. He only considers himself successful when he receives the results his clients deserve. With an educational background in anatomy, providing him an in-depth understanding of medical issues underlying most malpractice claims, Lee has built a well-recognized expertise in this area. He received his B.S. from Ohio State University and his Juris Doctorate, with honors, from the Ohio State University College of Law. After graduation, Lee moved to Michigan and began his legal career, specializing in personal injury and medical malpractice litigation. 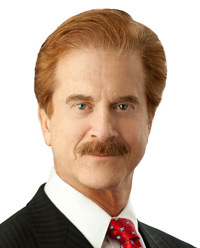 His participation in professional organizations such as the Michigan Bar Association, the Attorney Grievance Commission, the Michigan Association for Justice, have given him the opportunity to further his legal expertise. For years, Lee has volunteered for COTS (Coalition on Temporary Shelters), a homeless shelter in Detroit. He has also served as an officer on the Board of Directors for the Don Bosco Hall, a shelter for troubled youth in Detroit. Currently, he is a Board Member of Temple Beth El and on the board of its Brotherhood. He has received the Spirit of Detroit Award for his outstanding achievements and for giving back to the City of Detroit.